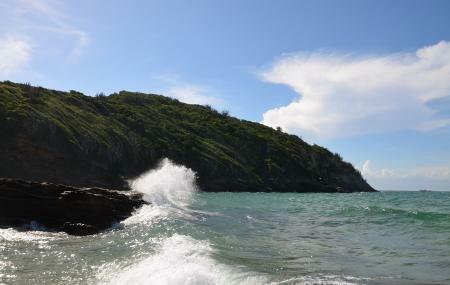 The Lover’s Beach is one of the couple highlights in Buzios region. The serene, quaint little beach boasts of being Buzios’s own cozy lagoon with a beautiful backdrop of a small hill, virgin beach and romance breezing all around it! The beach’s crescent shape gives room to the blue shallow waters which are ideal for a romantic swim. You will often find couples ‘making out’ here or simply having a good time in the lap of nature. A must if you are travelling with someone special or simply love to explore places straight out of a movie! Carry a change of clothes, beach essentials and sun-screen along with snacks and water. How popular is Praia Dos Amores? People normally club together Restaurant David and Forno Beach while planning their visit to Praia Dos Amores. Pequena e de difícil acesso, belas águas e paisagem mediana....bom pra quem curte aventuras! Ótimo lugar para se descontrair,boa praia e Menas muvuca!